Awesome 1:1 actuation on a budget. The SRAM X.4 Rear Derailleur delivers awesome 1:1 actuation and Direct Route Technology on a budget. Material: Alloy B-knuckle, zinc alloy outer link, steel/composite cage w/replaceable pulleys. 1:1 Actuation Ratio - the derailleur moves 1mm for every millimeter of cable pulled - for more precise gear shifting. 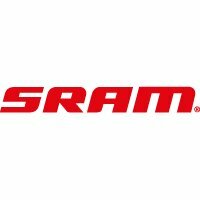 The SRAM X.4 Rear Derailleur can only be used with a SRAM 1:1 shifter.